No, thou art scared. Justifiably. Peter Parker aka Spider-Man, though he only barely qualifies to be called that name at this point. His proficiency with his powers has increased significantly since his tussle with Flash, though not to the point of mastery. And his “costume”-designing skills still leave much to be desired. Played by Tobey Maguire. Bonesaw McGraw, a popular local wrestler with a lot of style and no mercy. Obscenely over-muscled and aggressive. Played by Randall Mario Poffo, aka Randy “Macho Man” Savage, one of the greatest professional wrestlers of all-time and gone from us too soon. RIP. The Setup: Theorizing that chicks do, in fact, dig cars, Peter is on the hunt for some quick money in order to score himself a jalopy, and settles on the unorthodox method of participating in a local “open” wrestling challenge: anyone who can survive three minutes in the ring against Bonesaw will be awarded $3000. After being signed in by pie-pooper Octavia Spencer and getting his signature name from a Bruce Campbell improv, Peter finds himself stuck in a steel cage with a very macho man. 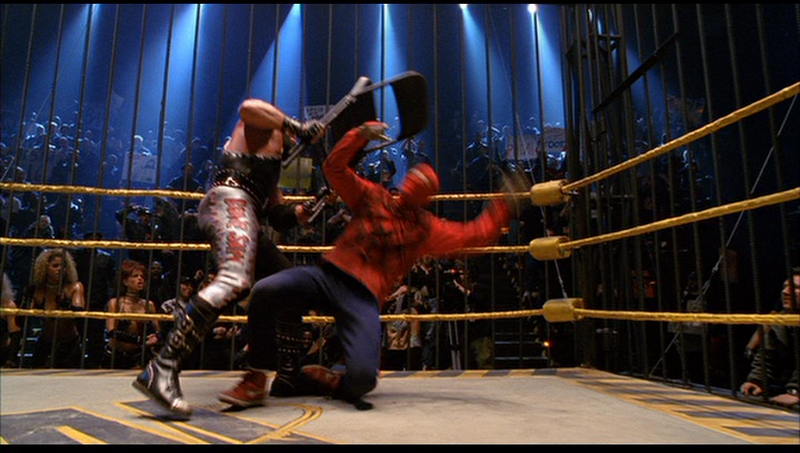 The Fight: After delivering some trademark Savage-esque trash talk, Bonesaw rushes in at his scrawny foe, but Parker hops away and sticks up to the high wall. From his position of brief safety, Peter tries out some taunting of his own, with a remark that would have caused at least a minor media tiff about this movie being “homophobic” if it had been released today. Hey, 2002 was a different era. 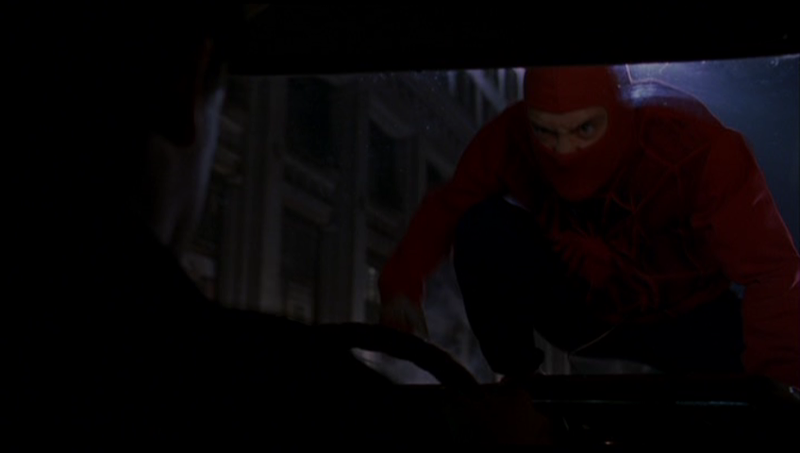 Despite his previous mission statement of staying away from Bonesaw, Peter jumps back down again shortly, and (gratuitously) uses his webs to jump over another running charge. Even with all his reflexes, caution and psychic spider sense, somehow Peter is caught completely by surprise as Bonesaw is handed a metal folding chair from one of his lovely assistants, which he then proceeds to brain Peter with repeatedly. He couldn’t smell what the Spider was cookin. Bonesaw is pretty intense, though not quite “Ric Flair just told everyone he used to bone my wife” intense. He hits Peter five times total with that chair, even after he’s down on the ground, and finishes off by tossing him into the bars. Next, Bonesaw’s assistant hands him a crowbar (! ), but before he can close in, Peter nails him with several strong kicks, and throws him against the ropes. 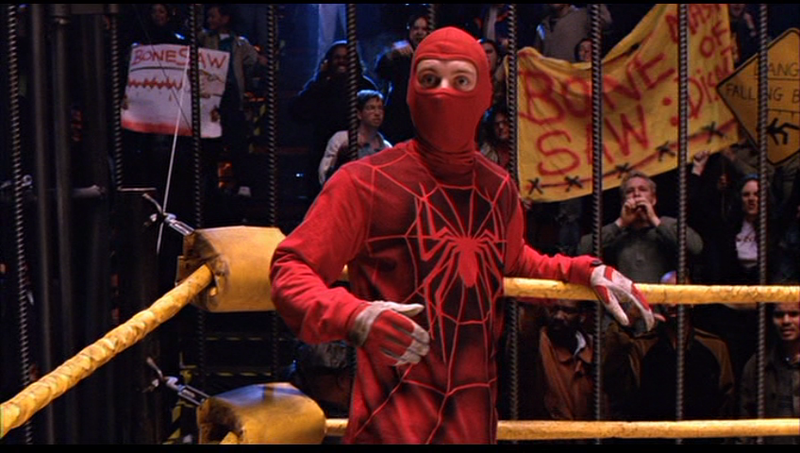 The fall knocks him out, with the referee declaring Spider-Man the winner. On paper it’s kind of silly to think the Macho Man could be brought low by the brat from Pleasantville, but once you’ve jobbed for the Ultimate Warrior you can pretty much sell anything. This isn’t a great fight, but it was never going to be. It’s an entertaining sideshow, and the only way to improve it would be to have just made more of it, especially with such a dynamite performer like Savage on hand. As it is, the only thing it does truly wrong is a complete lack of wrestling moves on Peter’s part, and arguably not enough from Bonesaw; The Chair is of course an inevitably iconic part of every movie wrestling match, but did they have to go to that well so quickly? Would a few turnbuckle charges and flying elbow drops have been too much to ask? Unlike the million flips in the last fight, the level of willful silliness works out excellently here– to the point of eliding over the sequence’s logical failures (chief among them: wrestling’s not real) in favor of just giving everyone a good time. Kind of like any good pro wrestling match, come to think of it. 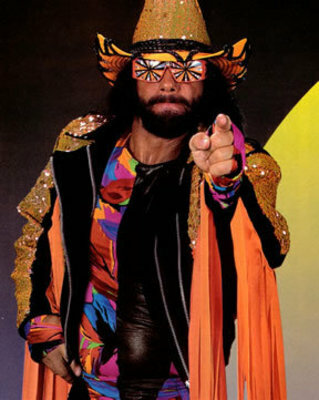 Recommended Links: A great Dead Spin column on Macho Man’s career, just after his passing. 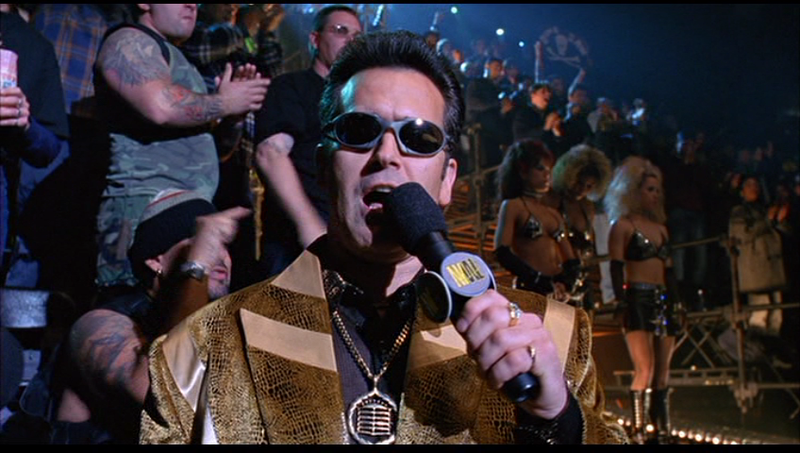 Blogger Trivia: I posit that Bruce Campbell does not play three different characters in all his Spider-Man cameo roles. They’re all the same character, because the trilogy is one big prequel crossover with Burn Notice and Campbell is playing Sam Axe under a bunch of different aliases as he keeps tabs on Spider-Man for the government. Coming Attractions: Tobey wrecks the director’s car. This entry was posted in Spider-Man and tagged OH YEAH, one-on-one, Spider-Man, superheroes, wrestling.